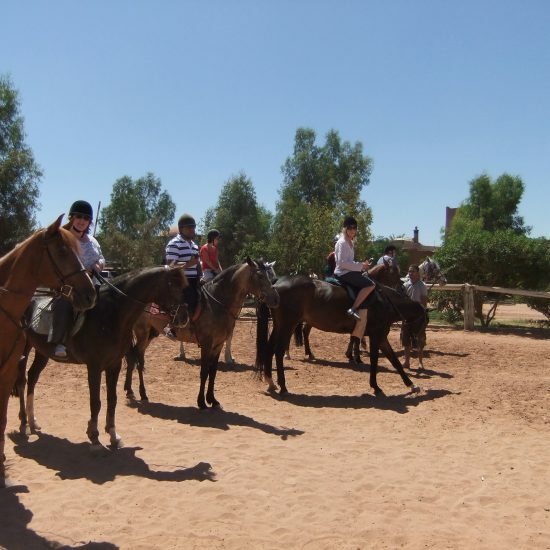 You will be picked up from your Hotel at 9 am, and drive towards the High Atlas Mountains, namely to Azerg Moulay Brahim where you will find horses waiting for you! Once you get there, you will be met by a local guide who will join you during a 2h ride on horseback that will take you through some farms & fields till you finish your ride near some berber villages from where you will be picked up again & drive towards imlil valley where you will have a stop for lunch before you go on a short guided hike around some small hamlets! Later in the afternoon, you will be picked up & drive back to Marrakech! drop off near your accommodation’s location.